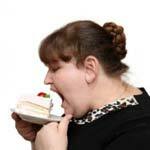 How To Stop Binge Eating At Night? Learning how to stop binge eating at night takes both patience and determination. Ideally, people should not eat more than two hours prior to going to bed, but the modern convenience of fast food and prepackaged snacks has made this an increasingly difficult rule to stick to. Nighttime binge eating can be an extension of bulimia, but it can also be a stand alone eating disorder.